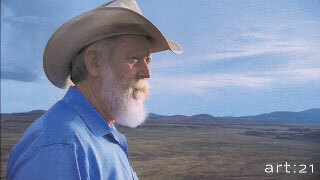 I first met James Turrell in the 70s. Maybe early 80s. And back then, along with Jim Olson, Carol Fuller, and the COCA board, which was just a little group of us, we’d conceived the idea of bringing James Turrell to Seattle to do an installation. And that he did, on First Avenue, Pioneer Square, in a building that was either being demolished, or converted, or both, in that order. It was the beginnings of COCA. The Seattle formed Center on Contemporary Art. There’s a character of the work, light diffusing in darkness, like this installation in The Mattress Factory. Where does that light come from? Turrell’s work was startlingly quiet. The interior space, an entire floor, was simply sand blasted out, cleaned and cleared, and he created a kind of blue glow, in the back of the third floor, that you hiked up some funky stairs to get to — that was part of his magic visioning then, and still, to this day, what he’s exploring now. Light, space, form, volume, transparency, invisibility, formlessness, and the absence of light, equilibrium and context of place. Back then, DIA Foundation was supporting Robert Irwin with some installations, as well as the Lightning Field storm javelins of Walter De Maria (as well as his dirt installations in Soho, NYC); it seems like there might have been some support to the work of other excavational, environmental artists. 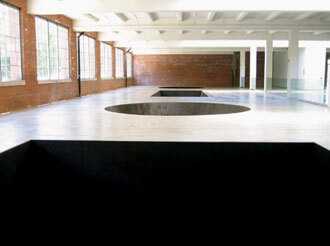 DIA | Beacon, the place, was envisioning. 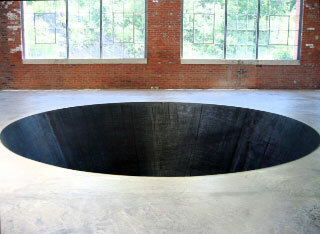 But Turrell, I’m thinking, back then, was still out there. Out on the fringes. And he was at the beginning of the Roden Crater. Finding that, seeing that, and thinking that this was the place for really carrying out that vision of making that happen — a wonder of the world. I think back then he was still job sorting. Doing two jobs at the same time. He was still making some money from working on shooting cartographic registers with his plane. And you know that he could do that especially well, given his steadiness of skill, in flying. A special plane, a special person. Somehow in the midst of that, he had this other vision. And so our board, which was Carol Fuller, Jim Olson and I — and some others, brought Turrell to Seattle. Since that time, he’s done other work in the Northwest. He did the sky viewing installation at the Henry Gallery, on the University of Washington campus. And now I’m seeing that he’s creating other installations in less familiar contexts – like the Le Fountainebleau, the condo and entertainment complex in Miami. Not sure exactly what that will be, but we’d pitched being connected to the development. But I found this article interesting. About the Roden Crater. I’ve flown over there, and I’ve seen these tiny craters — one larger one, and I’m thinking that there are some evidences of others, that are out there, in the middle of no where. But it’s somewhere. 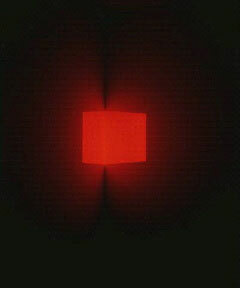 It’s somewhere, in the mind of James Turrell. And he, along with Michael Heizer’s DIA futurist city sculptural excavations (here are the kind of symbolic renderings he does at the DIA | Beacon — and yes, I shot those) continue to dream their dream, and build their vision. They keep working on building their vision of what can be conceived of as a new balancing in the construct of built, or unbuilt, modified or altered senses of space. And the meaning of finding other alignments. Dreams and visions. Seeking spiritual light, creating new space. It’s still far off the beaten track, which is really where it should be. Until it’s ready. Tim Girvin | Fidalgo Channel, San Juan Archipelago.